The tobacco industry is not like any other business – it sells a product that kills half its customers. Then, it vigorously protects its commercial and vested interests by interfering in the development and implementation of tobacco control policies at all levels. 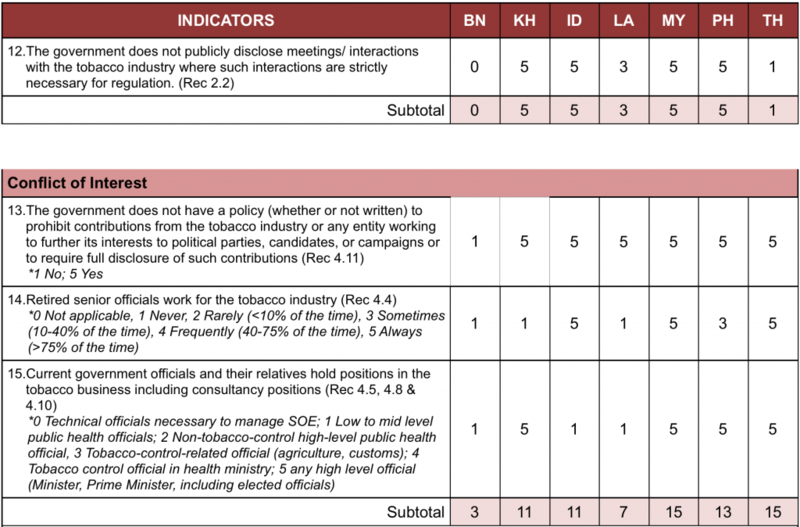 Using a wide range of unethical tactics and strategies, the tobacco industry continues to challenge, defeat, discredit, dilute, obstruct and delay implementation of effective tobacco control measures. It also employs direct or indirect political lobbying, litigation against governments and individuals as well as mobilise front groups to advance its cause. 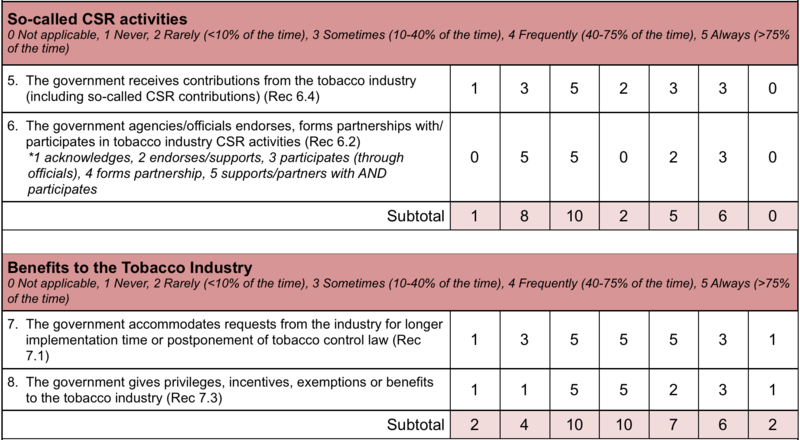 Recognizing the irreconcilable conflict between the tobacco industry’s interests and public health policy interests, the Parties to the FCTC unanimously adopted the Article 5.3 Guidelines at the third session of the Conference of the Parties (COP3) in 2008 which requires Parties when setting and implementing their public health policies with respect to tobacco control, to protect these policies from commercial and other vested interests of the tobacco industry in accordance with national law. 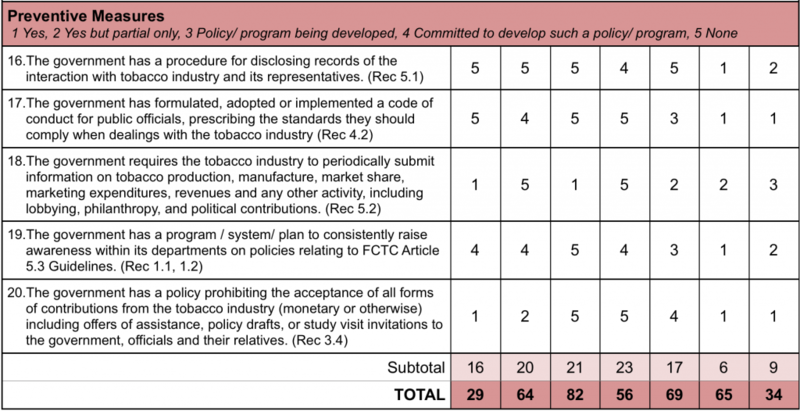 Five ASEAN countries (Philippines, Singapore, Thailand, Cambodia and Lao PDR) are leading the way in developing a policy, guidelines or code of conduct to protect their public health policies from tobacco industry interference.